Avoid becoming a victim of what you think you know about Medicare. Nearly everyone over the age of 65 depends on it, but myths and misconceptions around Medicare persist. The government-funded health insurance program for seniors will provide more cumulative lifetime benefits to average earners than Social Security by 2055, according to a study by the Urban Institute, but its complexities inspire a host of misconceptions. Whether you will be new to Medicare or have gone through the process many times before, here’s how to navigate around unnecessary penalties, bad timing and costly stays you only thought were covered. If only it were that easy. While there are large windows of opportunity, if you miss them, you’ll hit a wall. First time enrollees have three months both before and after their 65th birthday for their initial enrollment period (IEP). The annual enrollment period (AEP) is October 15 through December 7, when you can make changes to your Medicare coverage. 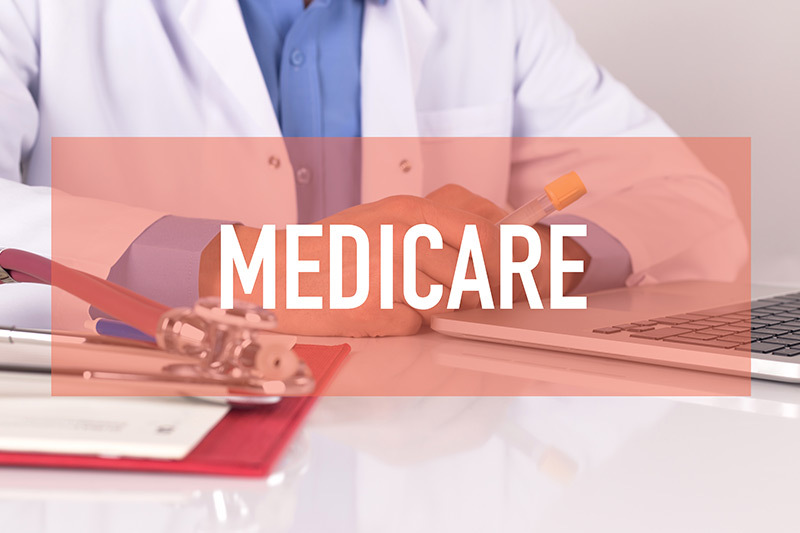 Participants in traditional Medicare can switch to a Medicare Advantage plan during the open enrollment period, and seniors with Medicare Advantage can return to a traditional Medicare plan or change to a different Medicare Advantage plan without getting hit with a penalty. Retirees can also switch from one Part D prescription drug plan to another, or add Part D to their coverage (although a late enrollment penalty may apply). What you can’t do during open enrollment is switch from Medicare Advantage to Medigap (see sidebar) or switch Medigap plans without answering medical questions. You also can’t join Part B, which covers outpatient care, preventive services, ambulance services, and durable medical equipment, unless you have a qualifying event. Many seniors are shocked to find out that Medicare is not going to pay for their golden years in a retirement home or assisted living facility. It will cover the first 20 days in a skilled nursing facility, if and only if the need is due to a hospital stay of at least three days. (Some Medicare Advantage plans will waive this requirement under certain circumstances). As of 2017, days 21 through 100 are no longer fully paid, and require a copay of $164.50 per day. Why are so many seniors taken by surprise, given how common long-term care has become? Experts speculate that it’s because they confuse Medicare and Medicaid, a needs-based alternative that kicks in when assets are depleted. Even then, Medicaid probably won’t cover the swanky place you’ve got your eye on; it is only available for eligible facilities. “People usually think Medicare will cover everything, and that doesn’t work out well for clients who aren’t healthy,” says Joanne Giardini-Russell, Medicare advisor with Financial Architects Inc.
Should I Choose Medigap or Medicare Advantage? One of the most confusing choices retirees must make is picking between supplemental Medigap and a Medicare Advantage health plan that covers Part A and B benefits. With a Medigap policy, seniors have more physicians to choose from. All Medicare providers participate in Medigap. Out-of-pocket costs are low to none, but average premiums run about $150 to $200 a month and vary by age and health history. Medigap policies come in 10 variations, no matter where you live. But they don’t include any coverage for Part D, so additional coverage for prescriptions is necessary. And while you’ll have to tote three cards in your purse or wallet (one for Medicare, one for Medigap and one for Part D coverage), payment is a snap. Medigap almost always cuts a check directly to providers after Medicare pays its share. Medicare Advantage programs require the use of plan providers only (HMO) or charge you extra for out-of-network services (PPO). Plans charge copays and carry deductibles of several thousand dollars per year. Premiums run from negligible to more than $100 per month, but all enrollees pay the same regardless of health history or age. Most Medicare Advantage plans cover prescription drugs, and they are rated with a five-star system. Seniors only have to carry around their Medicare Advantage card for services, but there’s the additional hassle of paying copays and deductibles to providers. The result: Medigap usually costs less for someone with major health problems. Despite higher premiums, out-of-pocket costs are typically much lower. However, if your prescription costs are high, you should factor in the additional cost of Part D coverage before making a decision. Healthier individuals can save money with Medicare Advantage’s lower premiums. Hint: It’s important to review your choice every year at open enrollment, October 15 to December 7. At this time, Medicare Advantage and Part D plans can change or drop coverage for certain drugs or alter pricing on the same drug. Your Medicare Advantage plan can also change their network of doctors and facilities, adjust the way they cover a medical service, and/or drop additional benefits such as hearing, vision and dental. Medicare generally covers 80 percent of costs, and that 20 percent that isn’t covered can add up faster than you can slip on a banana peel. Consider the additional financial burden of dental, vision and hearing coverage, and it explains why so many seniors get supplemental insurance. It’s important to realize, however, that you have a choice in additional insurance. Don’t just roll from the insurer you had at work into the Medicare Advantage plan the same insurer offers. You can choose between any Medicare Advantage plan offered, as well as Medigap. (See our guide, right) However, you can’t enroll in both. Most people get hospital insurance (Part A) for free, but are surprised that medical insurance (Part B) and prescription drug coverage (Part D) require a premium payment, which is dependent on their income. For 2017, the standard premium per month for Part B is $134, but most people with Social Security end up paying $109 a month on average, according to the U.S. Centers for Medicare and Medicaid Services. Check if you may be eligible for the Limited Income Newly Eligible Transition (LINET) program, which is a temporary prescription drug plan for low-income Medicare beneficiaries who don’t have other prescription drug coverage. It helps get rid of gaps in coverage for those who aged into Medicare without getting a Part D plan. The Affordable Care Act added coverage for an annual wellness exam, and covers 100 percent of most preventive services such as cancer and diabetes screens, mammograms, bone mass measurements and more. Many seniors don’t realize these services are now free. Even if you have other insurance, it could be crucial to enroll – and timing matters. If you work in a company that employs fewer than 20 workers, the employer-sponsored health plan automatically becomes secondary to Medicare at age 65, and the Part B penalty kicks in. That penalty means premiums can go up almost 10 percent for every month you are eligible for Medicare but not enrolled. In addition, you can get hit with a similar penalty for Part D that costs 1 percent of the base cost, multiplied by the number of complete months you’re not covered. Seniors covered by COBRA have no longer than eight months to sign up for Part B without incurring a penalty, even though COBRA may provide secondary coverage for a year or more after retirement. Likewise, small business owners and seniors who are self-employed have to enroll in Medicare during their IEP, regardless of whether or not they buy insurance privately. If your employer has 20 or more employees, it’s usually a good idea to at least sign up for the free Medicare Part A as soon as you’re eligible. But before you do, find out whether that will trigger a change in your current coverage. “When is Medicare Open Enrollment for 2018 Coverage?” medicareresources.org. “Medicare Open Enrollment,” U.S. Centers for Medicare & Medicaid Services. “Common Medicare Myths and Misconceptions — and How to Dispel Them,” ThinkAdvisor. “Making Sense of Medicare Myths,” Raymond James Financial, Inc.
“What does Medicare cover (Parts A, B, C, and D)?” Medicare Interactive. “Part D late enrollment penalty,” U.S. Centers for Medicare & Medicaid Services. “Beware Medicare's Penalties for Late Enrollment,” ElderLawNet, Inc.
“Part B late enrollment penalty,” U.S. Centers for Medicare & Medicaid Services. “Medicare Advantage vs. Medigap: Which Is the Best Choice?” The Motley Fool. “Medigap vs. Medicare Advantage,” Consumer Reports.